UFO SIGHTINGS DAILY: Multiple UFO sightings! Large disc shape UFO captured over Mudgee. Australia. 21.04.2016. UFO Sighting News. Multiple UFO sightings! Large disc shape UFO captured over Mudgee. Australia. 21.04.2016. UFO Sighting News. Infrared cameras are the preferred tool of the true UFO hunters. 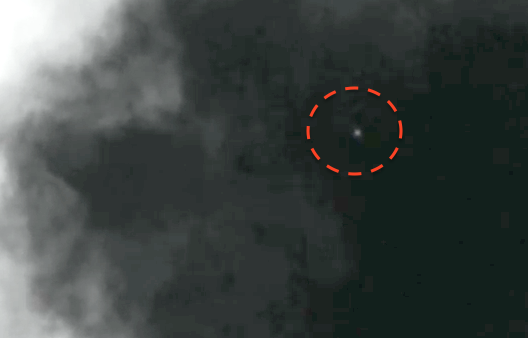 There is no escaping in daytime shooting with an IR camera and this video is 100% proof that UFOs exist and are easily seen with IR converted camcorders. The large object was above my house, under the cloud. You can see this object was changing the directions twice and speed up.The camera was using: CANON. X A.25.Full H D camera. The filter: HOYA 850. Infra red optical filter. Night Shot position ON! Daylight capture.